THE WATER ACCESS COTTAGE COMES WITH THIS 20 HP ELECTRIC START RUNABOUT. 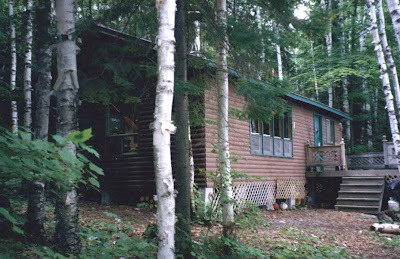 THE LAKE HAS CRYSTAL CLEAR WATER, GOOD BASS AND LAKE TROUT FISHING, AND HIKING AND CANOE TRAILS INTO ALGONQUIN PARK. THE LAKE HAS ABOUT 85 MILES OF SHORELINE AND ONLY ABOUT 200 COTTAGES. Enjoy the ocean view and breezes while you sample frozen ice cream treats and Maine lobster rolls at the picnic tables on the grounds. Hi, nice post.This is a fabulous place for vacation.Thank you for sharing! Cheers!